"Sometimes we might step on each other's toes, but that's actually out of love and admiration, coincidence, or even unconscious echoing too"
Jesse Kanda recently released his debut musical offering as doon kanda with Heart, but he's perhaps best known for his creating unsettling visual art for the likes of Björk, Arca and FKA twigs. 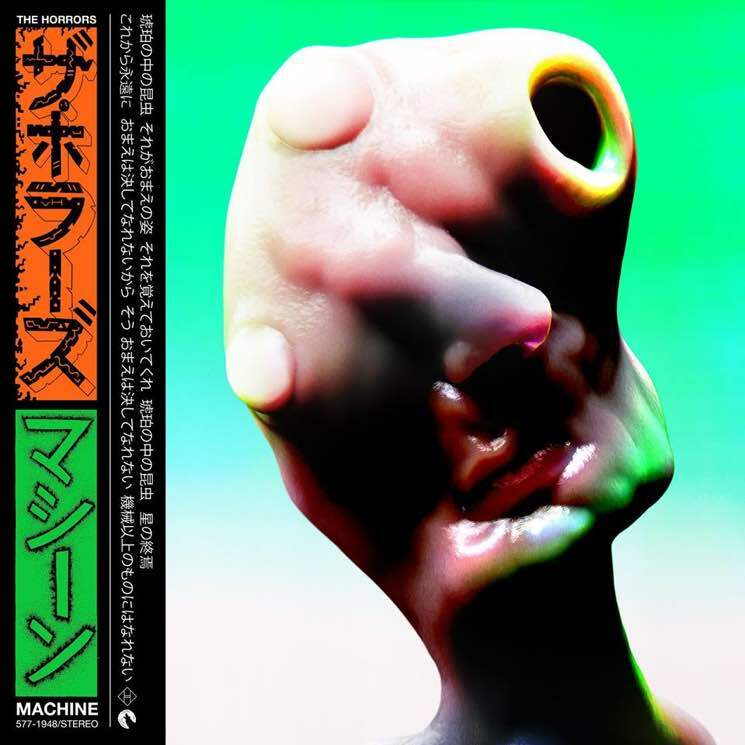 So when the Horrors unveiled their new single "Machine" earlier this week, many were surprised to find that the grotesque cover art wasn't actually the work of Kanda, despite bearing an eerie resemblance to his aesthetic. The Horrors' single cover was actually designed by Erik Ferguson, and some took to Twitter to call him out for ripping off Kanda's style. That argument was flipped on its head, though, with Chris Cunningham fans claiming that Kanda's work was just as derivative. Best to direct your love towards Chris Cunningham, then - seeing as Jesse Kanda has always blatantly stolen from him. Cunningham has previously done video work for Autechre, Aphex Twin, Björk and Madonna. Many on Twitter were also quick to point out that he previously worked with the Horrors back in 2009, as well, on their video for "Sheena Is a Parasite." Kanda has now weighed in on the whole situation, thanking his supporters, but also acknowledging that "every artist ever" will sometimes "step on each others' toes, but that's actually out of love and admiration, coincidence, or even unconscious echoing too." He ended by wishing everyone involved — the Horrors, Ferguson, Cunningham and the tweeting masses — "the best and respect." Read Kanda's full response below.